20 th 47GT out of ~71 built. One of two LeMans prototypes fitted with 2 liter Coventry Climax FPF engine and Hewland FT200 5 speed gearbox. Purchased new by Simon DeLautour - raced at Nurburgring, Reims, Karlskoga, and in UK in 1967. Converted back to 1600 Lotus twincam in 1968. Owned by Lotus enthusiast for the last 22 years. Used consistently at club events. Run in the last year at Putnam Park and Barber Motorsports. 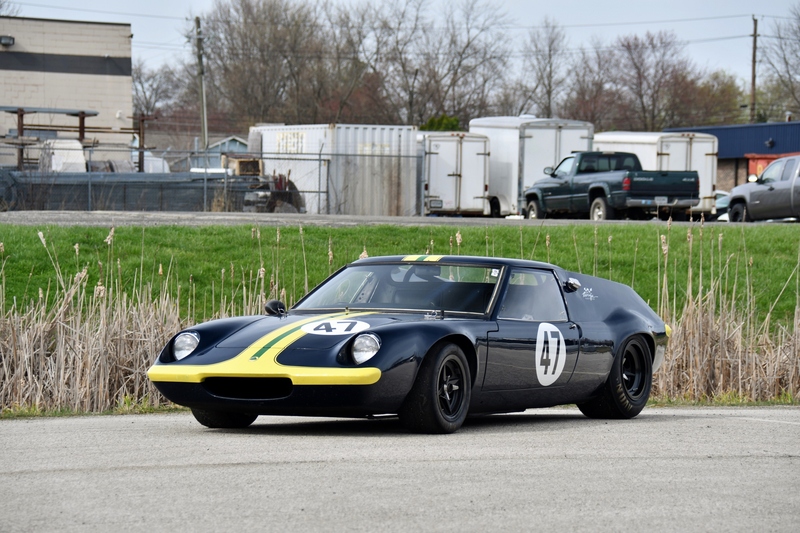 Currently fitted with low hours 2 liter Lotus twincam built by Dave Vegeher – 218 HP & 175 ft-lbs torque. Car weighs less than 1300 lbs and is a blast on the track. Unlike some racecars that are prepped for show this car is sorted and ready to run. "Karlskoga, Sweden - 1967 Finished 10th overall"
" Simon purchased 3 Lotus 47s from Victor Walker #s 20, 53, & 81"
Email from Simon Hadfield confirms that he purchased the car in fair condition with a twincam engine.
" Simon said ""I do remember that it had not been overly knocked about, then again it was only 14 years old!""" 1983 - 1987 "Purchased by C.S. London, England and United States"
1987 - 1/30/91 R.M. "San Francisco, CA"
Purchased from Motor Classic and Competition Corp.
4/16/96 - present T.S. "Cincinnati, OH"